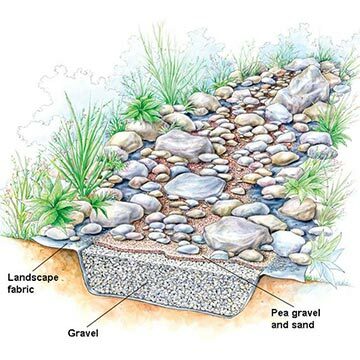 If you have a sloping property where water tends to flow down to a certain spot, then a dry creek bed might be for you! 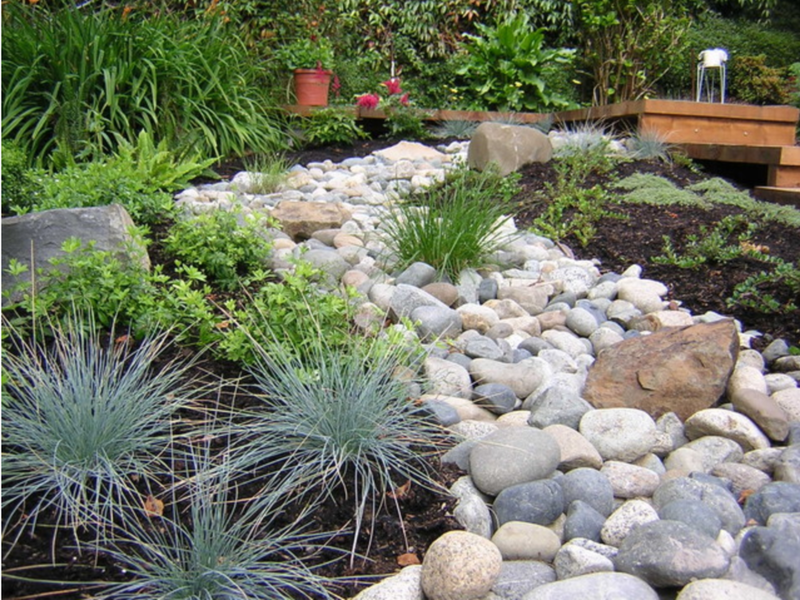 A dry creek bed or open drain can not only relieve drainage issues it can also become a stunning landscape feature in your garden. First up, find the lowest point in your property, that area that tends to turn into a mud bath in heavy rain. Mark out the path that you want the water to take. A winding path looks beautiful and the most natural. Dig at the lowest point placing the dirt around the edges of the creek bed area to create mounds. If you want to direct water down hill dig a swale to direct the water down to the creek bed. It's a good idea to tamp down/compact the newly dug-out soil, as you would before laying a gravel driveway. 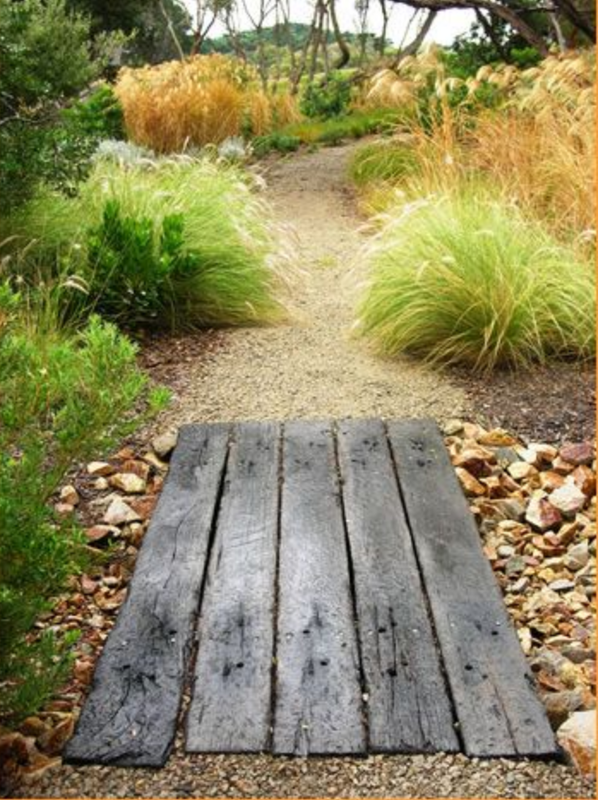 Use landscaping fabric and place it over the mounds and creek bed area, pinning it down as you would with weed matting. This will keep the fabric from shifting or bunching up, especially when you are laying your rocks. When choosing your creek bed stones go for smooth river rocks to give a natural water-worn look. Place the smaller rocks in the centre with larger rocks or boulders on the edges, this helps direct the water and gives a more natural look. You can also use crushed rocks on the base with larger rocks placed on top. There is no need to mortar the rocks in unless you are working with a very steep gradient. 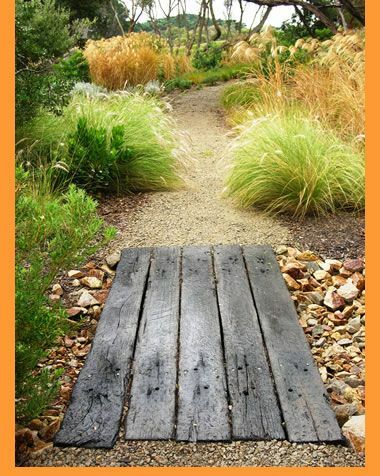 Plant around the edges, not only does it soften the look of the creek bed but it also helps with soil erosion. Have a look at local lakes or creeks to gather plant inspiration! A man-made waterfall by stacking stones at your steepest point so that when it rains the water trickles down the rocks and into the creek bed. 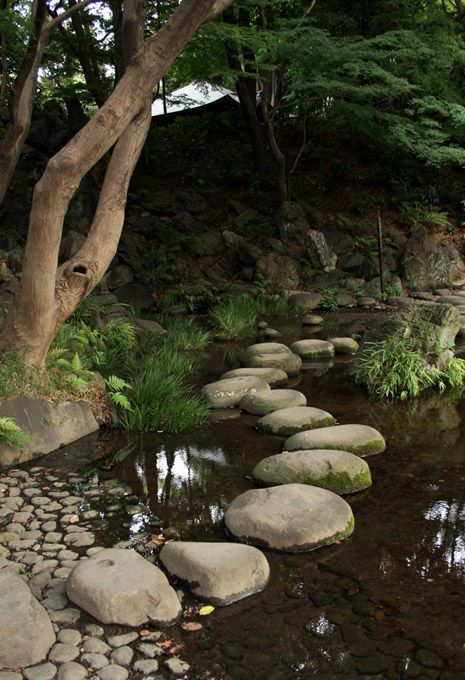 Add some larger rocks across your creek bed to create stepping stones or perhaps a large log or recycled timber sleepers to create a bridge. Add seating above the bank using logs or stones so you can sit and enjoy your new masterpiece. Then after the next downpour, grab the kids/grandkids, their rain boots, toy boats or diggers and watch them play for hours in the new creek bed. Remember to give The Little Digger Company a call if you need a hand with this or any other outdoor project. Our digger can get the work done fast and we can also deliver landscaping materials in our 4t Tip Truck. Give us a call today or book a site visit.